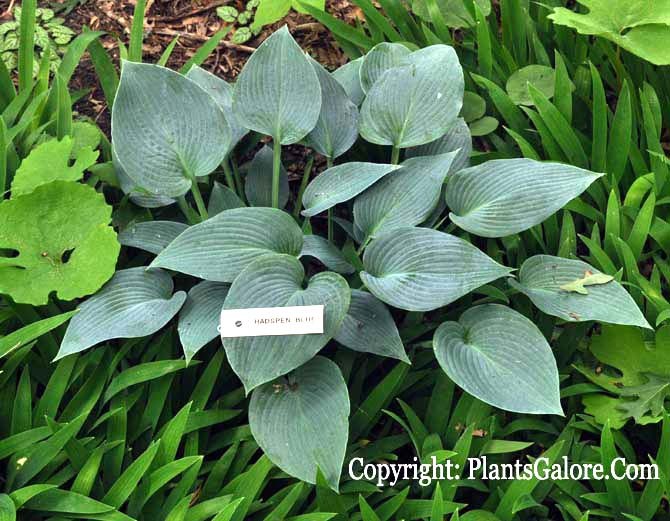 The Hosta Handbook by Mark Zilis (2000) rates this as "...one of the bluest cultivars ever developed." Paul Aden of New York registered it in 1976 on behalf of the originator, Eric Smith of England. 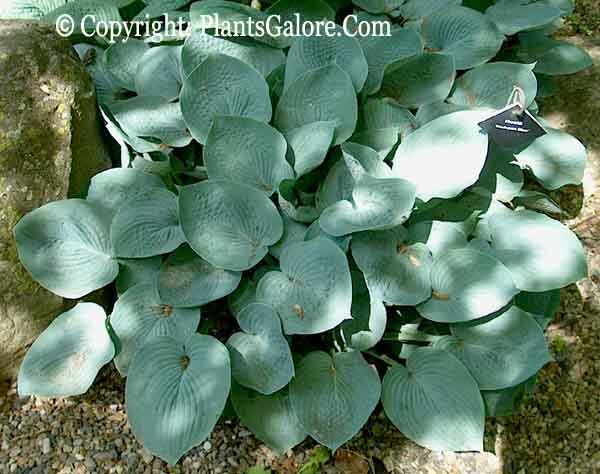 It is a Tardiana-type of hosta. This cultivar is part of the "Hadspen Series" of hostas. This slow growing, large size (18 inches high by 48 inches wide) plant has broadly ovate, slightly cupped and moderately corrugated foliage with thick substance. It bears very pale lavender flowers in clusters from late July into August followed by viable seeds. The New Encyclopedia of Hostas by Diana Grenfell (2009) states: "Leaves do not form a symmetrical mound but the wonderful leaf color makes this a very worthwhile garden plant. Less shapely that the leaves of the illustrious H. 'Halcyon' but of a thicker substance and more glaucous with a suggestion of rugosity on the leaf surface. One of the most intense blues of the Tardiana Group, keeping its color for longer than most. Early to emerge. Slow to increase."